Public Security Minister says he supports legislation preventing release of terrorists as part of efforts to reduce overcrowding in prisons. Public Security Minister Gilad Erdan responded on Tuesday evening to a letter sent by bereaved families regarding the early release of terrorists and clarified his position on the subject. "Contrary to what may have been understood from the letter of the bereaved families, I have demanded since the Supreme Court ruling on the living space of the prisoners to distinguish between criminal prisoners and terrorists. 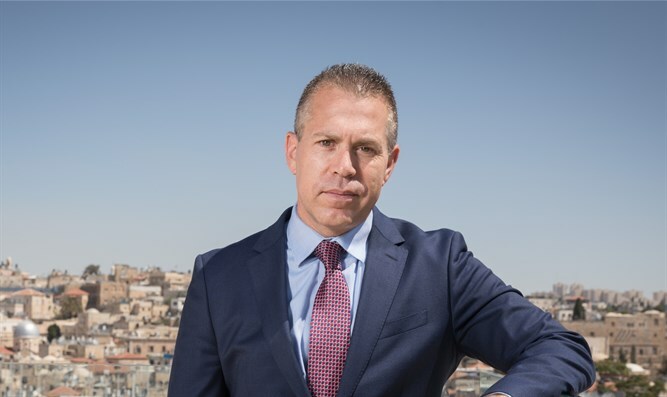 The Ministry of Justice refused and claimed that my demand was unconstitutional, and therefore no such distinction was included in the administrative release law which is currently being discussed in the Knesset,” Erdan wrote on Twitter. He added, "I informed the chairman of the Knesset Internal Affairs Committee, Yoav Kisch, that I support the introduction of an exception to the law that will remove the security prisoners from it, and that I will support the Knesset's position on this issue. We must not allow a reduction in the punishment of terrorists." Earlier on Tuesday evening it was reported that the Bereaved Families Forum called on Erdan to prevent the release of terrorists who helped murder Jews and were sentenced to varying prison terms. The appeal was made following the Prison Service's intention to grant an early release to prisoners, including terrorists, as part of the process of reducing overcrowding in prisons.